Choosing a paper that looks and feels good, is appropriate for the tone of your promotional material and has good green credentials, may seem a bit overwhelming! Here is a guideline to decode some of the jargon and help you choose a paper that is environmentally sound as well as meeting the aesthetic demands of your printing. 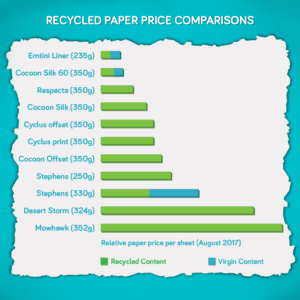 We’ve also included some paper price comparisons* to assist you with your choice of recycled papers. Both PEFC and FSC are independent, non-profit, non-governmental organisations. It is paper that has a thin layer of fine clay on its surface giving it a smooth waxy feel which can be both matt or gloss in appearance. Litho printed colour images reproduce much more vividly on coated paper than on uncoated paper on which the ink is readily absorbed. 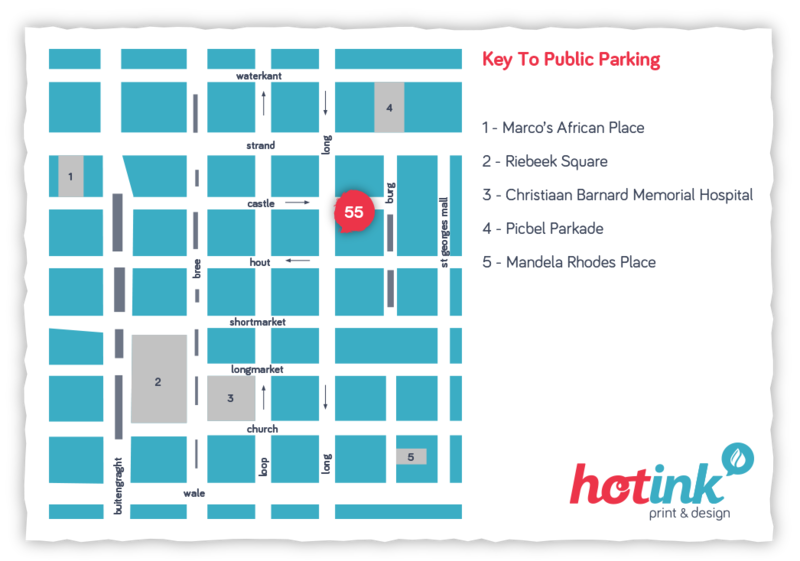 With digital printing however, the difference is negligible as the toner sits on the surface of each equally well. While coated papers are generally more cost effective, if it’s a really matt finish that you are after then uncoated paper will be the way to go. Is recycled paper better than non recycled? (detailed answers here). Some recycled papers contain only partially recycled fibres, so do check the percentage. Recycled paper comes from two sources: pre consumer waste – spoilt sheets and trimmings from the paper mill, and post consumer waste – paper that has already been used in the marketplace. 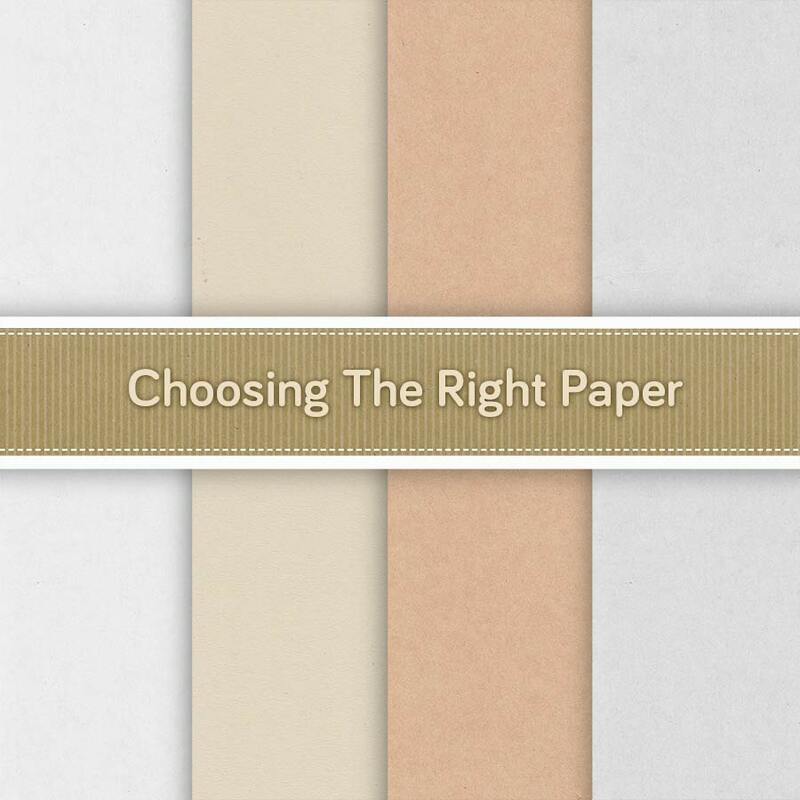 Recycled paper varies in look and feel from earthy and natural to corporate and white, depending on what you require. Although they are mostly uncoated, some ranges are available in a coated version too. PolyArt Laser synthetic paper used at Hot Ink is 100% recyclable. This makes it a great alternative to printing your promo material on paper and laminating it which renders the combined result unrecyclable. Read more on this versatile stock which is waterproof and tear proof. 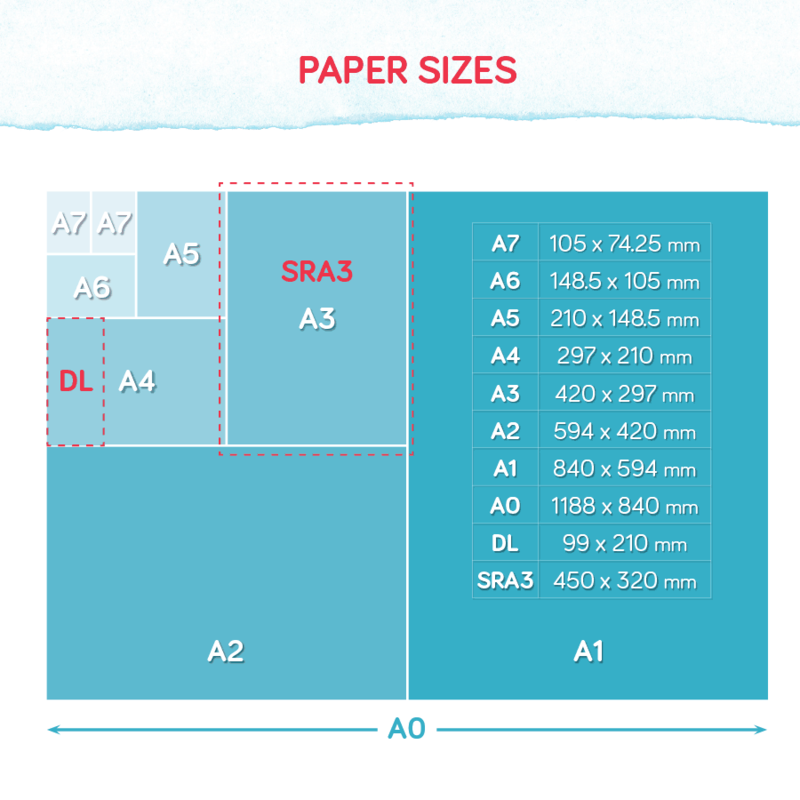 Read our handy guideline on standard paper sizes. One of the bigest advantages of digital printing is that you only have to print the amount that you need, when you need it, thus saving you on storage space as well as protecting this resource from unnecessary wastage. 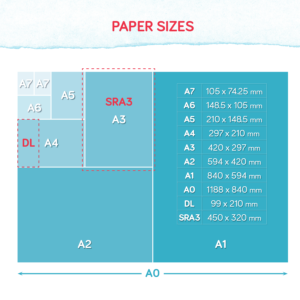 Feel free to chat to us about choosing the right paper and how to make the numbers work for you. *This paper price comparison is a rough guideline to the relative cost of recycled papers from the least expensive to the most expensive. It also shows which papers are wholly recycled and those that are only partly recycled – these are generally more affordable.